You know this thing about My Little Pony Games? 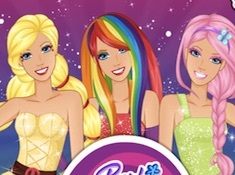 On My Little Pony Games category you will find all these games with the most beautiful pony, Twilight Sparkle, Applejack, Fluttershy, Rarity, Pinkie Pie, Rainbow Dash and in this ponytail you will find a sheltie or a bidet where you can ride a pony, dress up, coloring, or help the pony to finish their mission. In My Little Pony Games you can find 225 games that we've published for these kids and childrens that are interested to play My Little Pony Games, this game gategory have been created on 21.10.2015. These games with My Little Pony Games have been voted 1 times and the avarage of vote is 5.00 stars. We advice you to play the last flash game from My Little Pony Games, Explore Ponyville that have been published on 13.02.2018 12:00. Explore Ponyville its a part of My Little Pony Games category and until now its played 5958 times. Try it now on Cute-Games.com! If your like the Explore Ponyville game you can write a comment in the game page. Recommend this game to your friends if you like it! Flash Sentry Dress Up its a part of My Little Pony Games category and until now its played 1974 times. Try it now on Cute-Games.com! If your like the Flash Sentry Dress Up game you can write a comment in the game page. Recommend this game to your friends if you like it! My Modern Little Pony its a part of My Little Pony Games category and until now its played 2174 times. Try it now on Cute-Games.com! If your like the My Modern Little Pony game you can write a comment in the game page. Recommend this game to your friends if you like it! 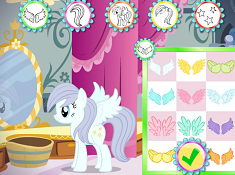 Cute Pony Hair Salon its a part of My Little Pony Games category and until now its played 2423 times. Try it now on Cute-Games.com! If your like the Cute Pony Hair Salon game you can write a comment in the game page. Recommend this game to your friends if you like it! 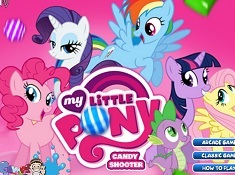 My Little Pony Candy Shooter its a part of My Little Pony Games category and until now its played 5017 times. Try it now on Cute-Games.com! If your like the My Little Pony Candy Shooter game you can write a comment in the game page. Recommend this game to your friends if you like it! The Prom of the Ponies its a part of My Little Pony Games category and until now its played 4867 times. Try it now on Cute-Games.com! If your like the The Prom of the Ponies game you can write a comment in the game page. Recommend this game to your friends if you like it! My Little Pony Winter Looks its a part of My Little Pony Games category and until now its played 5446 times. Try it now on Cute-Games.com! If your like the My Little Pony Winter Looks game you can write a comment in the game page. Recommend this game to your friends if you like it! Fallout Equestria Remains its a part of My Little Pony Games category and until now its played 2053 times. Try it now on Cute-Games.com! 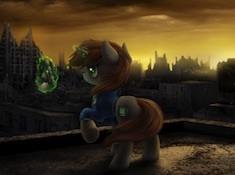 If your like the Fallout Equestria Remains game you can write a comment in the game page. Recommend this game to your friends if you like it! Barbie Equestria Girls Fan its a part of Barbie Games category and until now its played 1885 times. Try it now on Cute-Games.com! If your like the Barbie Equestria Girls Fan game you can write a comment in the game page. Recommend this game to your friends if you like it! My Little Pony Adventures in Aquastria its a part of My Little Pony Games category and until now its played 3523 times. Try it now on Cute-Games.com! If your like the My Little Pony Adventures in Aquastria game you can write a comment in the game page. Recommend this game to your friends if you like it! Madeline Hatter X Pinkie Pie its a part of Ever After High Games category and until now its played 1186 times. Try it now on Cute-Games.com! If your like the Madeline Hatter X Pinkie Pie game you can write a comment in the game page. Recommend this game to your friends if you like it! Pony Fluttershy Baby Birth its a part of My Little Pony Games category and until now its played 2172 times. Try it now on Cute-Games.com! 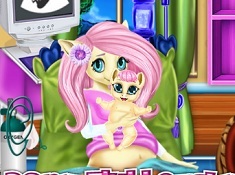 If your like the Pony Fluttershy Baby Birth game you can write a comment in the game page. Recommend this game to your friends if you like it! Magical Friends Dress Up its a part of My Little Pony Games category and until now its played 1630 times. Try it now on Cute-Games.com! If your like the Magical Friends Dress Up game you can write a comment in the game page. Recommend this game to your friends if you like it! Pinkie Pie Pajama Party its a part of My Little Pony Games category and until now its played 1423 times. Try it now on Cute-Games.com! 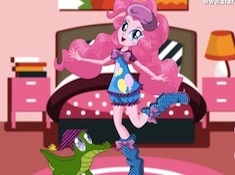 If your like the Pinkie Pie Pajama Party game you can write a comment in the game page. Recommend this game to your friends if you like it! 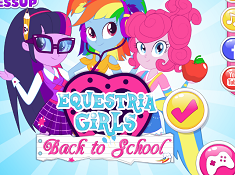 Equestria Girls Back to School its a part of My Little Pony Games category and until now its played 3591 times. Try it now on Cute-Games.com! 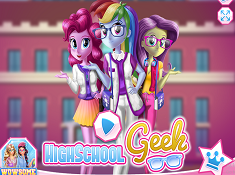 If your like the Equestria Girls Back to School game you can write a comment in the game page. Recommend this game to your friends if you like it! Pony Baby Room Deco its a part of My Little Pony Games category and until now its played 4094 times. Try it now on Cute-Games.com! If your like the Pony Baby Room Deco game you can write a comment in the game page. Recommend this game to your friends if you like it! 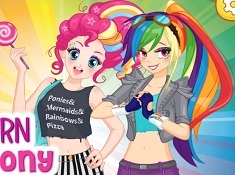 Which My Little Pony Are You its a part of My Little Pony Games category and until now its played 6919 times. Try it now on Cute-Games.com! 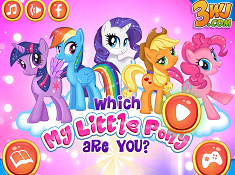 If your like the Which My Little Pony Are You game you can write a comment in the game page. Recommend this game to your friends if you like it! 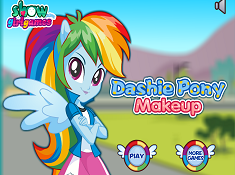 Dashie Pony Makeup its a part of My Little Pony Games category and until now its played 3811 times. Try it now on Cute-Games.com! If your like the Dashie Pony Makeup game you can write a comment in the game page. Recommend this game to your friends if you like it! My Little Pony Birthday Party its a part of Rapunzel Games category and until now its played 3572 times. Try it now on Cute-Games.com! If your like the My Little Pony Birthday Party game you can write a comment in the game page. Recommend this game to your friends if you like it! 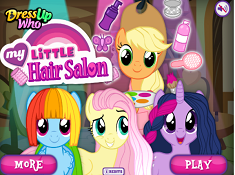 My Little Pony Hair Salon its a part of My Little Pony Games category and until now its played 10079 times. Try it now on Cute-Games.com! If your like the My Little Pony Hair Salon game you can write a comment in the game page. Recommend this game to your friends if you like it! My Little Pony Zuma its a part of My Little Pony Games category and until now its played 3927 times. Try it now on Cute-Games.com! 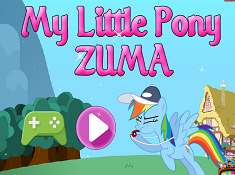 If your like the My Little Pony Zuma game you can write a comment in the game page. Recommend this game to your friends if you like it! My Little Pony Care its a part of My Little Pony Games category and until now its played 2663 times. Try it now on Cute-Games.com! If your like the My Little Pony Care game you can write a comment in the game page. Recommend this game to your friends if you like it! 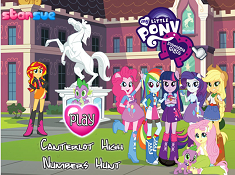 Canterlot High Numbers Hunt its a part of My Little Pony Games category and until now its played 7069 times. Try it now on Cute-Games.com! If your like the Canterlot High Numbers Hunt game you can write a comment in the game page. Recommend this game to your friends if you like it! My Little Pony Bubble its a part of My Little Pony Games category and until now its played 2386 times. Try it now on Cute-Games.com! 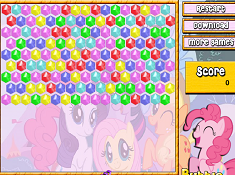 If your like the My Little Pony Bubble game you can write a comment in the game page. Recommend this game to your friends if you like it! My Little Pony Bros World its a part of My Little Pony Games category and until now its played 4590 times. Try it now on Cute-Games.com! 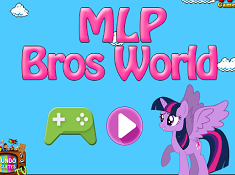 If your like the My Little Pony Bros World game you can write a comment in the game page. Recommend this game to your friends if you like it! My Little Pony Bros World 2 its a part of My Little Pony Games category and until now its played 3937 times. Try it now on Cute-Games.com! 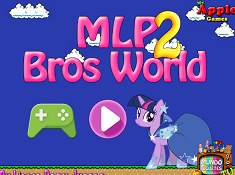 If your like the My Little Pony Bros World 2 game you can write a comment in the game page. Recommend this game to your friends if you like it! 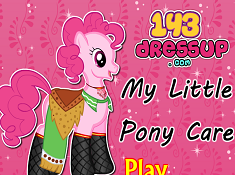 My Little Pony Halloween Costumes its a part of My Little Pony Games category and until now its played 1160 times. Try it now on Cute-Games.com! 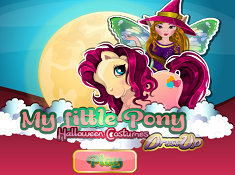 If your like the My Little Pony Halloween Costumes game you can write a comment in the game page. Recommend this game to your friends if you like it! 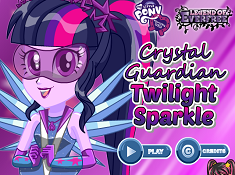 Twilight Sparkle Crystal Guardian its a part of My Little Pony Games category and until now its played 3612 times. Try it now on Cute-Games.com! 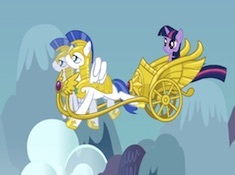 If your like the Twilight Sparkle Crystal Guardian game you can write a comment in the game page. Recommend this game to your friends if you like it! 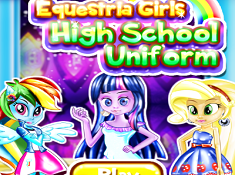 Equestria Girls High School Uniform its a part of My Little Pony Games category and until now its played 1561 times. Try it now on Cute-Games.com! 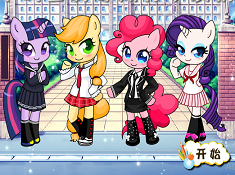 If your like the Equestria Girls High School Uniform game you can write a comment in the game page. Recommend this game to your friends if you like it! Chibi Ponies its a part of My Little Pony Games category and until now its played 2719 times. Try it now on Cute-Games.com! If your like the Chibi Ponies game you can write a comment in the game page. Recommend this game to your friends if you like it! 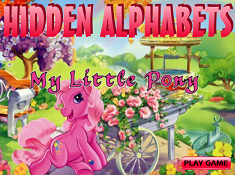 My Little Pony Hidden Alphabets its a part of My Little Pony Games category and until now its played 1280 times. Try it now on Cute-Games.com! If your like the My Little Pony Hidden Alphabets game you can write a comment in the game page. Recommend this game to your friends if you like it! Pinkie Pie Hidden Stars its a part of My Little Pony Games category and until now its played 2714 times. Try it now on Cute-Games.com! If your like the Pinkie Pie Hidden Stars game you can write a comment in the game page. Recommend this game to your friends if you like it! 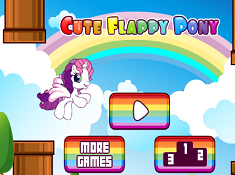 Flappy Rainbow Pony its a part of My Little Pony Games category and until now its played 2217 times. Try it now on Cute-Games.com! 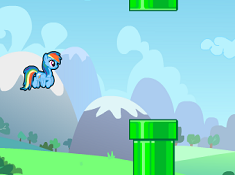 If your like the Flappy Rainbow Pony game you can write a comment in the game page. Recommend this game to your friends if you like it! Pony Hidden Numbers its a part of My Little Pony Games category and until now its played 1970 times. Try it now on Cute-Games.com! 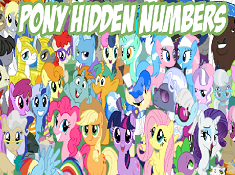 If your like the Pony Hidden Numbers game you can write a comment in the game page. Recommend this game to your friends if you like it! 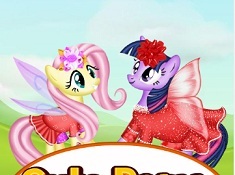 Derpy Dress Up its a part of My Little Pony Games category and until now its played 2308 times. Try it now on Cute-Games.com! If your like the Derpy Dress Up game you can write a comment in the game page. Recommend this game to your friends if you like it! 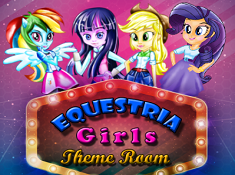 Equestria Girls Theme Room its a part of My Little Pony Games category and until now its played 1648 times. Try it now on Cute-Games.com! If your like the Equestria Girls Theme Room game you can write a comment in the game page. Recommend this game to your friends if you like it! 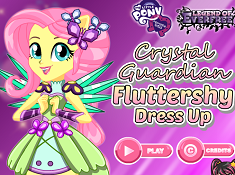 Fluttershy Crystal Guardian its a part of My Little Pony Games category and until now its played 2476 times. Try it now on Cute-Games.com! If your like the Fluttershy Crystal Guardian game you can write a comment in the game page. Recommend this game to your friends if you like it! My Little Pony Sundae its a part of My Little Pony Games category and until now its played 2601 times. Try it now on Cute-Games.com! 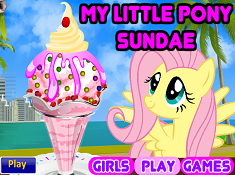 If your like the My Little Pony Sundae game you can write a comment in the game page. Recommend this game to your friends if you like it! Rainbow Dash Dress Up its a part of My Little Pony Games category and until now its played 1606 times. Try it now on Cute-Games.com! 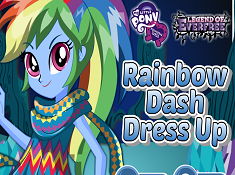 If your like the Rainbow Dash Dress Up game you can write a comment in the game page. Recommend this game to your friends if you like it! My Little Pony Pegasus Creator its a part of My Little Pony Games category and until now its played 4801 times. Try it now on Cute-Games.com! 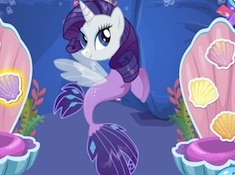 If your like the My Little Pony Pegasus Creator game you can write a comment in the game page. Recommend this game to your friends if you like it! 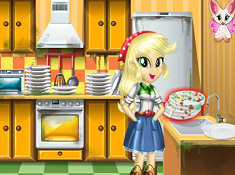 Applejack Great Cleaning its a part of My Little Pony Games category and until now its played 3691 times. Try it now on Cute-Games.com! If your like the Applejack Great Cleaning game you can write a comment in the game page. Recommend this game to your friends if you like it! 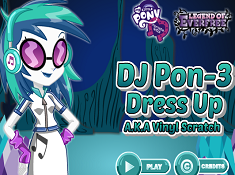 DJ Pon-3 Dress Up its a part of My Little Pony Games category and until now its played 2195 times. Try it now on Cute-Games.com! If your like the DJ Pon-3 Dress Up game you can write a comment in the game page. Recommend this game to your friends if you like it! Highschool Geek its a part of My Little Pony Games category and until now its played 2774 times. Try it now on Cute-Games.com! If your like the Highschool Geek game you can write a comment in the game page. Recommend this game to your friends if you like it! 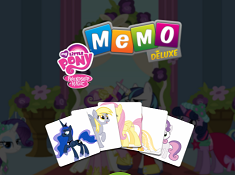 My Little Pony Memory Deluxe its a part of My Little Pony Games category and until now its played 2609 times. Try it now on Cute-Games.com! If your like the My Little Pony Memory Deluxe game you can write a comment in the game page. Recommend this game to your friends if you like it! 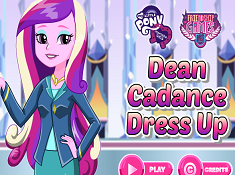 Dean Cadance Dress Up its a part of My Little Pony Games category and until now its played 3198 times. Try it now on Cute-Games.com! 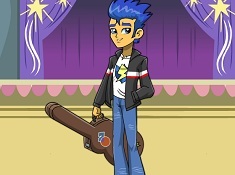 If your like the Dean Cadance Dress Up game you can write a comment in the game page. Recommend this game to your friends if you like it! 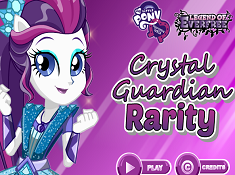 Crystal Guardian Rarity its a part of My Little Pony Games category and until now its played 2600 times. Try it now on Cute-Games.com! If your like the Crystal Guardian Rarity game you can write a comment in the game page. Recommend this game to your friends if you like it! Equestria Girls Summer Vacation its a part of My Little Pony Games category and until now its played 1933 times. Try it now on Cute-Games.com! If your like the Equestria Girls Summer Vacation game you can write a comment in the game page. Recommend this game to your friends if you like it! 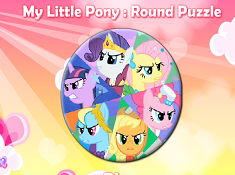 My Little Pony Round Puzzle its a part of My Little Pony Games category and until now its played 4006 times. Try it now on Cute-Games.com! 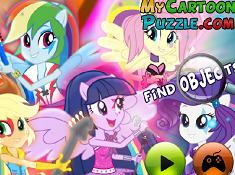 If your like the My Little Pony Round Puzzle game you can write a comment in the game page. Recommend this game to your friends if you like it! Fluttershy Hidden Stars its a part of My Little Pony Games category and until now its played 1623 times. Try it now on Cute-Games.com! 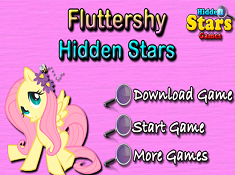 If your like the Fluttershy Hidden Stars game you can write a comment in the game page. Recommend this game to your friends if you like it! My Littlle Pony D Finder its a part of My Little Pony Games category and until now its played 1977 times. Try it now on Cute-Games.com! 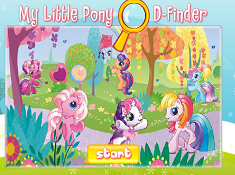 If your like the My Littlle Pony D Finder game you can write a comment in the game page. Recommend this game to your friends if you like it! Flappy Little Pony its a part of My Little Pony Games category and until now its played 2389 times. Try it now on Cute-Games.com! If your like the Flappy Little Pony game you can write a comment in the game page. Recommend this game to your friends if you like it! 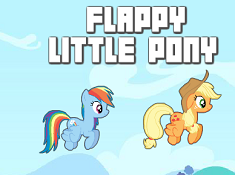 Flappy Cute Pony its a part of My Little Pony Games category and until now its played 1782 times. Try it now on Cute-Games.com! If your like the Flappy Cute Pony game you can write a comment in the game page. Recommend this game to your friends if you like it! Pinkie Pie DJ its a part of My Little Pony Games category and until now its played 3098 times. Try it now on Cute-Games.com! 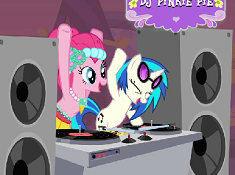 If your like the Pinkie Pie DJ game you can write a comment in the game page. Recommend this game to your friends if you like it! Rarity Rainbow Power Style its a part of My Little Pony Games category and until now its played 2392 times. Try it now on Cute-Games.com! If your like the Rarity Rainbow Power Style game you can write a comment in the game page. Recommend this game to your friends if you like it! Equestria Girls Find Objects its a part of My Little Pony Games category and until now its played 3039 times. Try it now on Cute-Games.com! If your like the Equestria Girls Find Objects game you can write a comment in the game page. Recommend this game to your friends if you like it! 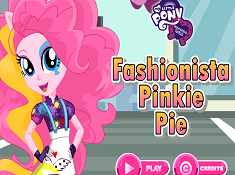 Fashionista Pinkie Pie its a part of My Little Pony Games category and until now its played 1718 times. Try it now on Cute-Games.com! If your like the Fashionista Pinkie Pie game you can write a comment in the game page. Recommend this game to your friends if you like it! 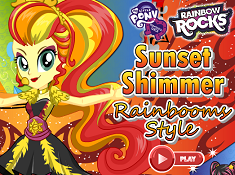 Sunset Shimmer Rainbooms Style its a part of My Little Pony Games category and until now its played 1611 times. Try it now on Cute-Games.com! If your like the Sunset Shimmer Rainbooms Style game you can write a comment in the game page. Recommend this game to your friends if you like it! 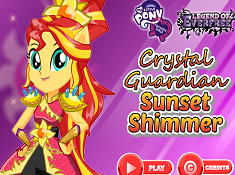 Crystal Guardian Sunset Shimmer its a part of My Little Pony Games category and until now its played 2138 times. Try it now on Cute-Games.com! If your like the Crystal Guardian Sunset Shimmer game you can write a comment in the game page. Recommend this game to your friends if you like it! 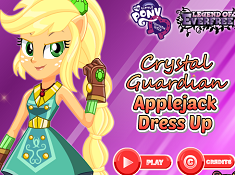 Applejack Crystal Guardian its a part of My Little Pony Games category and until now its played 2131 times. Try it now on Cute-Games.com! If your like the Applejack Crystal Guardian game you can write a comment in the game page. Recommend this game to your friends if you like it! My Little Pony Bedroom Decor its a part of My Little Pony Games category and until now its played 1842 times. Try it now on Cute-Games.com! 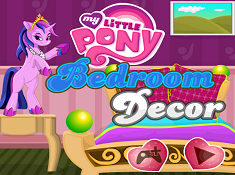 If your like the My Little Pony Bedroom Decor game you can write a comment in the game page. Recommend this game to your friends if you like it! Find More About My Little Pony Games! 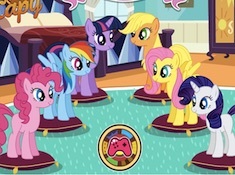 The series My Little Pony is now on cute-games.com too, in our new My Little Pony games where you will have the chance to meet your favorite ponies and to spend some beautiful time with them. As you know the series is made especially for girls and the story is one magical, fantastic and also fun and the main characters are always confronting with new adventures. The serial appeared after that Hasbro company produced many My Little Pony toys, like ponies and a lot of accessories for them because girls from all over the world were in love with those cute ponies. 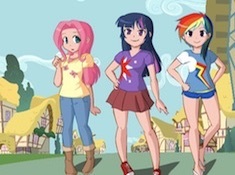 The series has five seasons and every season has 26 episodes except the third season which have only 13 episodes and also with the same character was produced a movie named “Equestria Girls” which has two parts. Our principal character from series is Twilight Sparkle, a female unicorn pony who transform in Alicon. In the first season she and her assistant Spike, which is a baby dragon, moved from Canterlot to Golden Oak Library in Ponyville where she become a princess because she studied the magic of friendship and she is an example, also her element is the magic. Another main character is Applejack, a female Earth Pony and her element is honesty and also she is working on Sweet Apple Acres along with her entire family. Fluttershy is also a main character from the series and she is a female Pegasus Pony and she represents the element of kindness. She loves animals and she takes care of all of them and one of the animals which she cares the most is Angel, a little bunny. Other main character is Rarity, a female unicorn pony and she has two jobs, one like fashion designer and one like seamstress at her own shop named Carousel Boutique. She represents the element of generosity and she also have a little pet which is a Persian cat named Opalescence. 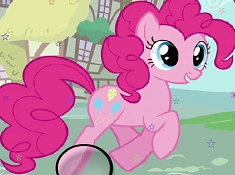 Pinkie Pie is also a female Earth pony which is representing the element of laughter by her energetic and sociable nature. Her full name is Pinkamena Diane Pie and she writes and performs many songs, she works on Sugarcube Corner and she is living with her pet which is a baby alligator and his name is Gummy. The ultimate main character is Rainbow Dash a female Pegasus pony which is maintains the weather and clears the sky in Ponyville. She is optimistic and a good friend, her element being the loyalty and also she has a pet too which is a tortoise named Tank. As you can see, they all represent good things and they all have a pet like best friend and the reason for this is the fact that the producers wanted that the series being also educative. From My Little Pony serial you can learn about real friendship, sincerely love, good manners, honesty, generosity, loyalty and many other qualities that everybody has to have it. For that reason we bring to you the most beautiful, funny and educative My Little Pony games in which you will have a lot of stuffs to do along with your favorite ponies characters. Here you will have to feed them, to dress up them, to make-up them, to go on parties, to make puzzles, coloring and also you will go through magical adventures. In each of these games we prepared for you all that you need for making your work as good as you can and for dress up them we prepare some spectacular pony clothes and you will have to choose from skirts, t-shirts, dresses, hats and many other fashionable clothes. Also, if you want to make up them you have the most beautiful colors like pink, purple, white, blue, red and also a lot of glitter for making them to shine and if you want to feed them you have to prove your culinary talent and prepare for them delicious cookies and delicate food. In My Little Pony puzzle games we prepared for you a lot of funny, cute and magical photos which you will have to create and also in My Little Pony coloring games you have a lot of posters and pictures which you will have to color in your own way and you can make your favorite pony looking whatever you want. We hope that you will love our free My Little Pony games and if you want other games that we haven`t published you can tell us what game do you want and we will publish it for you. Until then, stay with us and you will what new surprises, adventures and challenges we prepare for all the My Little Pony fans.